A deep knowing breath. The warmth of a soul scar healing just a bit more. A sense of truth, understanding and validation. 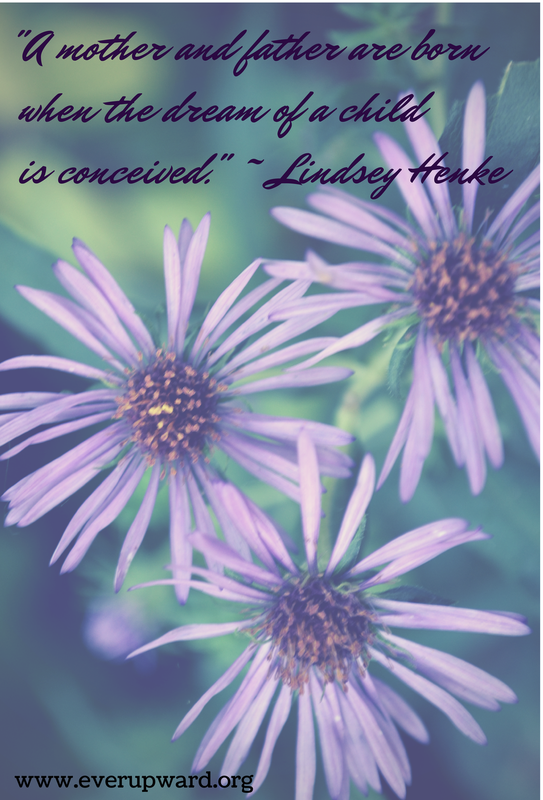 This is just a tiny sense of what I felt when I read these words from Lindsey Henke in her Still Standing post. "But in my opinion a mother isn’t born when a child is born. A mother and father are born when the dream of a child is conceived." There are times when I allow my comparison, scarcity and shame to dim my light and I am fearful of sharing my story. This fear is born out of the messages I tell myself. The messages that have actually been said out loud to me. And, the messages that society drills into me. There will be some who will never ever consider me a mother. The ones who say I didn't try enough. The ones who judge my decision to not adopt. The ones who say I must not have wanted to be a mother badly enough. The ones who say I didn't lose because our three babies were only eight cell embryos. I will never get full understanding from everyone, let alone validation. But, I will still speak my story. I will own all the parts of my story. And, I will continue to fight and break the shamed silence that surrounds infertility, miscarriage, infant loss and recovery. But, I will not do so to convince my deniers. I will do so because if I don't I simply am not living my ever upward. If I don't I am not practicing my recovery, that I fought like hell to get to. If I don't I am not following my light. I became a mother the minute I posted my ad on the surrogacy message board. I became even more of a mother when I met Michelle. I became even more of a mother when our embryos were transferred into her loving and mothering uterus. I became even more of a mother the days we received the call that none of our babies were strong enough to even implant. I am a mother with empty arms here on this earth. I am a mother who parents her children on this side of eternity. I am a mother to many people and things in my life. Simply, I too, was born a mother the day I dreamed of becoming one. I am a childfree mother who lives a childfull life. This is my ever upward. We dream and then sometimes we lose. We suffer and then we rise. We struggle and then we thrive. These are choices we must make each and every day. These are my choices to let go of what was never meant to be mine and to make sure it wasn't for nothing. Because I know I am a mother and more. These are our choices to embrace our stories, to redefine and own it all.